Wedding wear handworked orange gownTop Colour: Salmon Peach.Bottom Colour: Salmon Peach. Dupatta Colour: Multi Colour. Gown Fabric: Malbari Silk. .. Designer embroidered navy blue heavy velvet ceremonial gownTop Colour: Navy Blue. Bottom Colour: Navy Blue. 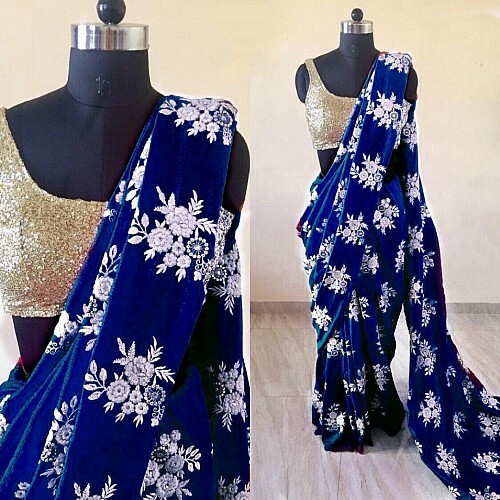 Dupatta Colour: Navy Blue. 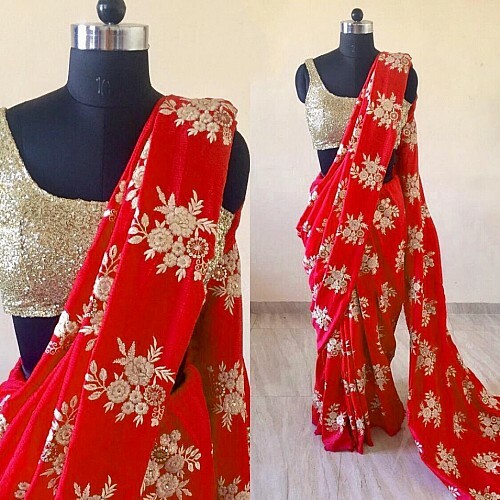 Top Fabric: 9..
_Saree Fabric: * MONO NET *__Saree color : WHITE__Saree Size : 5.50 Meter__Blouse Fabric : BANGLORI Silk__Blouse Size : 0.80 Meter_INNER : Santoon_Des..
_Saree Fabric: * Pure NET WITH MASLI work saree*__Saree Size : 5.50 Meter__Blouse Fabric : BANGLORI SILK__Blouse Size : 0.80 Meter__Description : All ..